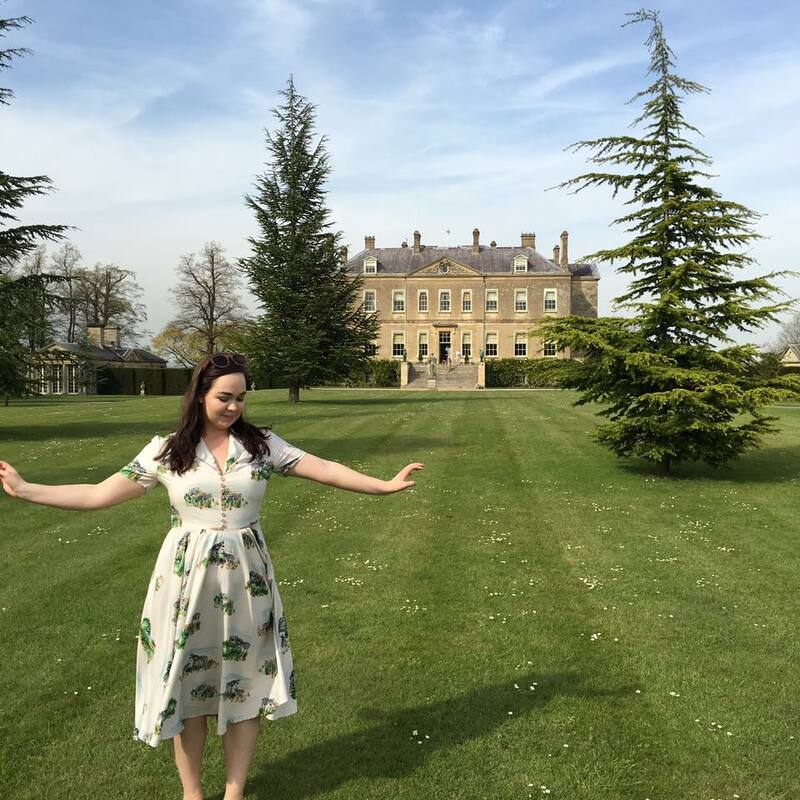 If you've been reading my blog for a while now you will know I have a real interest (obsession) with history which mainly culminates in visiting National Trust Properties. Russell and I are lucky enough to live within easy reach of quite a few beautiful properties and as we have membership we have found ourselves visiting a new place every time we get a lovely day. This day was absolutely gorgeous and so we packed up a picnic in my super cute picnic basket and drove out to Buscot Park. We had such a lovely time exploring the grounds and wandering round the house learning all about the family who still lived there and have lived there for generations. We discovered Egyptian walk ways, water gardens and some beautiful blue bells in the woods. I always forget how stunning a carpet of blue bells is and every year I am astounded by the beauty of them. I am going back to Hereford where my parents live next week and I am really hoping to catch the blue bells there as they are always spectacular. The dress was a little present to myself this month. I'd tried it on and felt amazing but I decided it was quite expensive and so would have to think about it. Three weeks later I still couldn't get it off my mind and so decided to just go for it. I have never been one to change her wardrobe due to fashion I've always been more of a classic style kinda gal however I have been guilty of buying cheap badly made clothes and replacing them each year. I decided about a year ago to try to change this and to buy really well made good pieces that are timeless and I will get a lot of wear out of. I bought this dress with that in mind and I'm pretty sure it'll live up to its name. It was comfortable and light weight, absolutely perfect for swishing around a national trust on a hot day. I can't wait to wear it more this summer along with my trusty Tribe sunglasses - they really are the best sunglasses I've ever had.